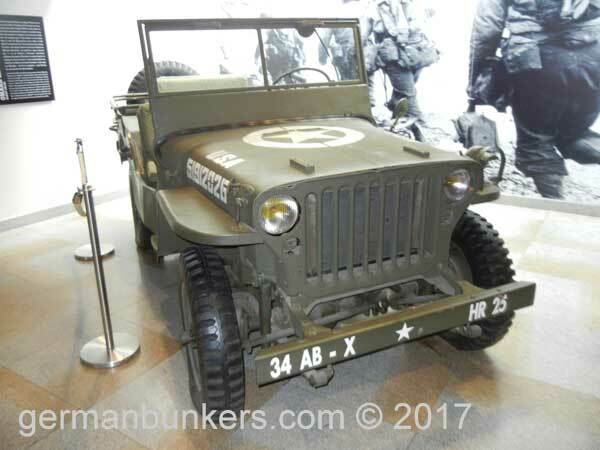 The U.S. Army Willy's Jeep, an icon of the Normandy landscape after D-Day. 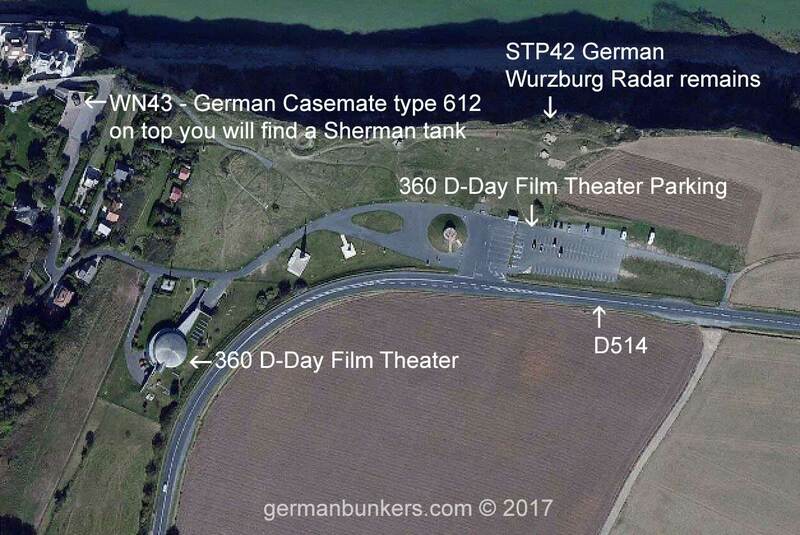 A very easy to find cinema which details the D-Day landings in a surround 360 degree viewing facility. It's located in Arromanches and is in walking distance of the main town and just meters from Gold beach, the British landing beach on D-Day. Take the D514 coming from the west or the east side of Arromanches, if you are coming from the south take the D87. 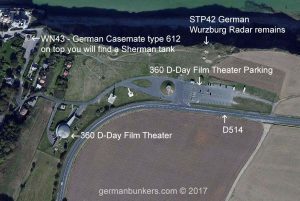 There is plenty of parking near the facility and after the showing there are plenty of interesting bunker remains in the vicinity including WN43 which houses one of two 612 bunker types in the area as well as STP42 which have the remains of the German Wurzburg Reiss radar installation. I have noted those on the map to your top right. 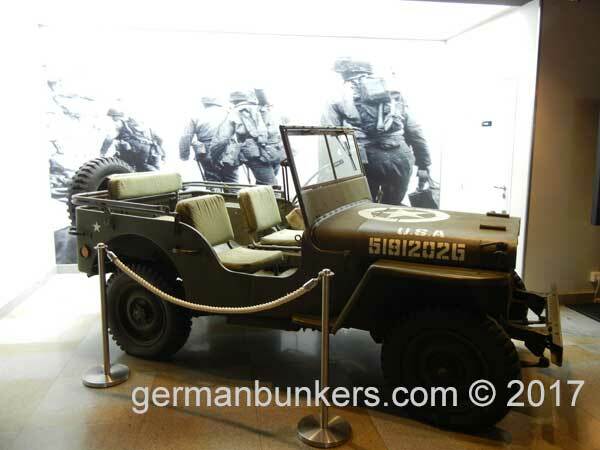 A front end shot of the Willy's Jeep.